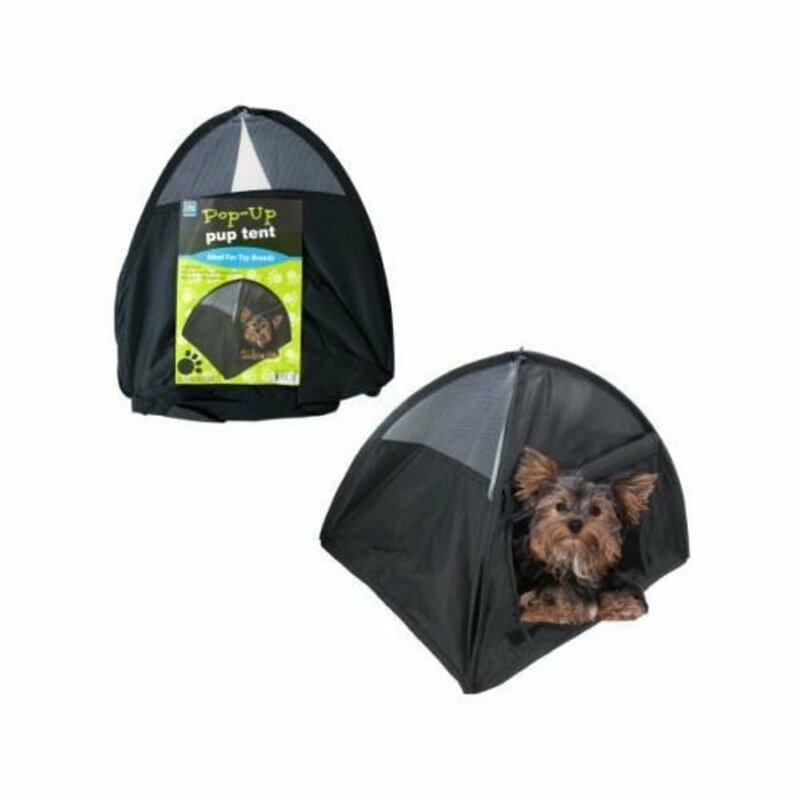 Pet owners with small puppies will love this new, small, pop-up puppy tent! If you like to carry your pet while traveling, this puppy tent will work perfect for you. 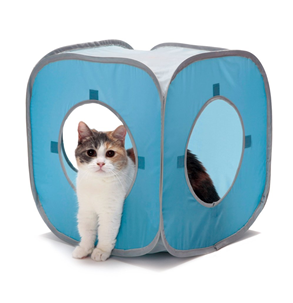 This mini pop-up pet tent is great for parents of small pets on the road. 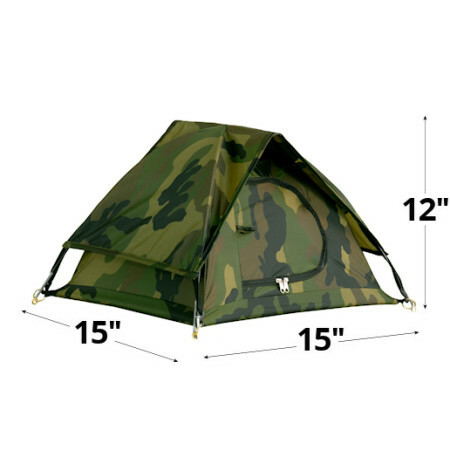 The tent folds up easily and has a door flap that rolls up for easy access in and out. 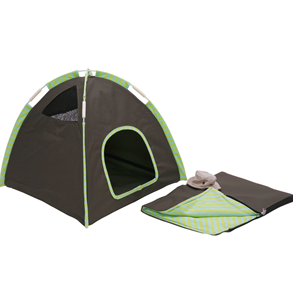 This miniature puppy tent is ideal for toy breeds. Measures . This is a miniature display tent which is not large enough for kids to play inside of. Perfect place for your small pet. Also works well for small cats, kittens, ferrets, lizards, snakes, etc.